Erchless Castle has been considerably modernised, but still retains its original L-plan outline. Architectural features indicate that it belongs to the beginning of the 17th century. The castle has belonged to the Chisholm family since the 15th century. 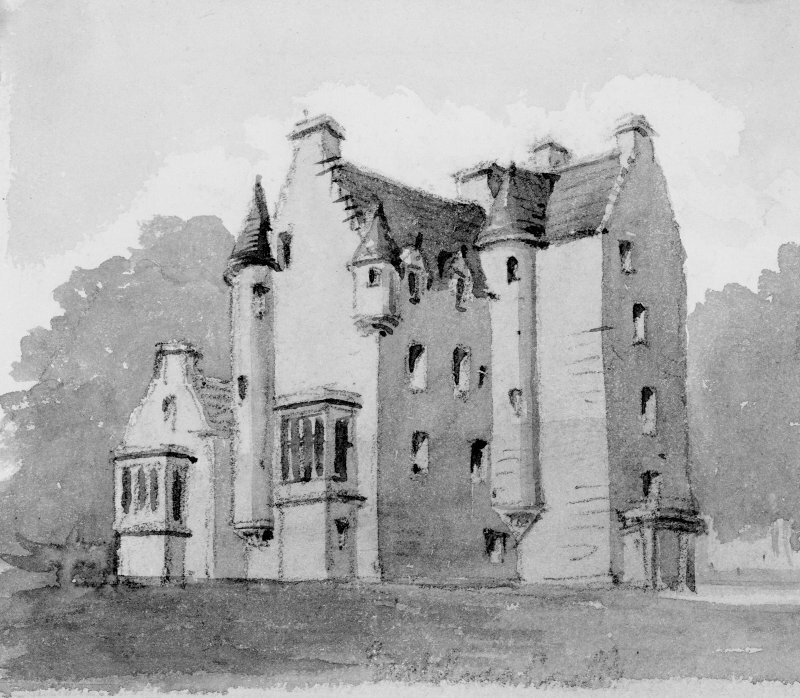 Erchless Castle is as described above. It is no longer the home of the Chisholm family. Still occupied and well cared for, the house was built between 1594 and 1623 with a work being added on the north in the 19th century. The original entrance was in the re- entrant angle not in the stair wing as at present. Situated in parish of Kiltarlity, 10 miles WSW of Beauly, near left bank of the Beauly. 'Expense of the new wing and colonnade including mason work, slater work carpenter work, plaisterer work, glazing and all materials for said work'. ?635.6.8. 'Portico to Castle' - ?717.16.2.